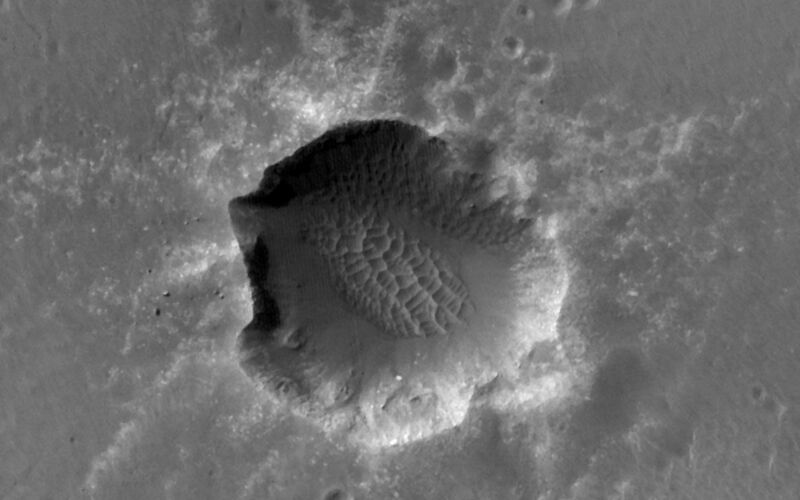 NASA's Mars Exploration Rover Opportunity approached Santa Maria Crater in December 2010. 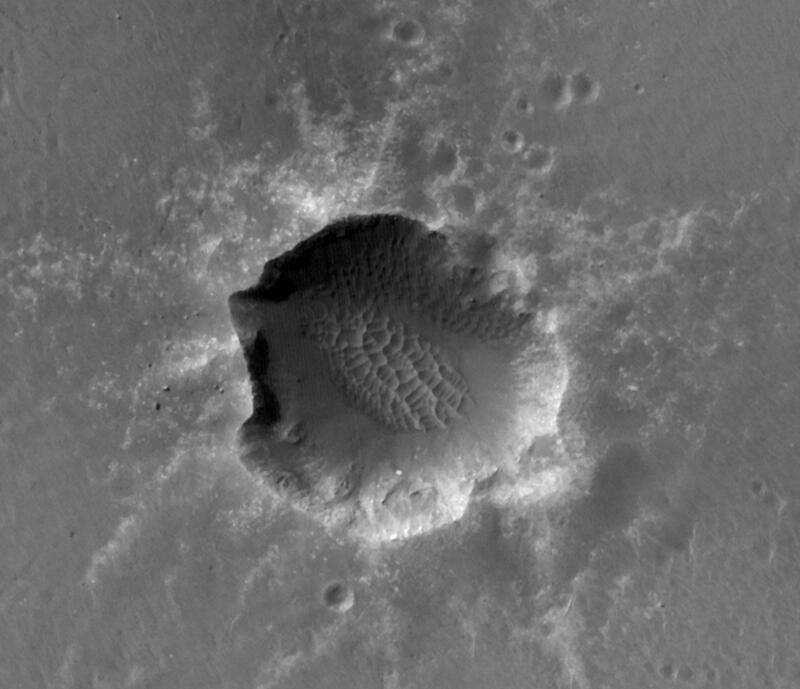 With a diameter of about 90 meters (295 feet), this crater is slightly smaller than Endurance Crater, which Opportunity explored for about half a year in 2004. This image of Santa Maria Crater was taken by the High Resolution Imaging Science Experiment (HiRISE) camera on Mars Reconnaissance Orbiter. 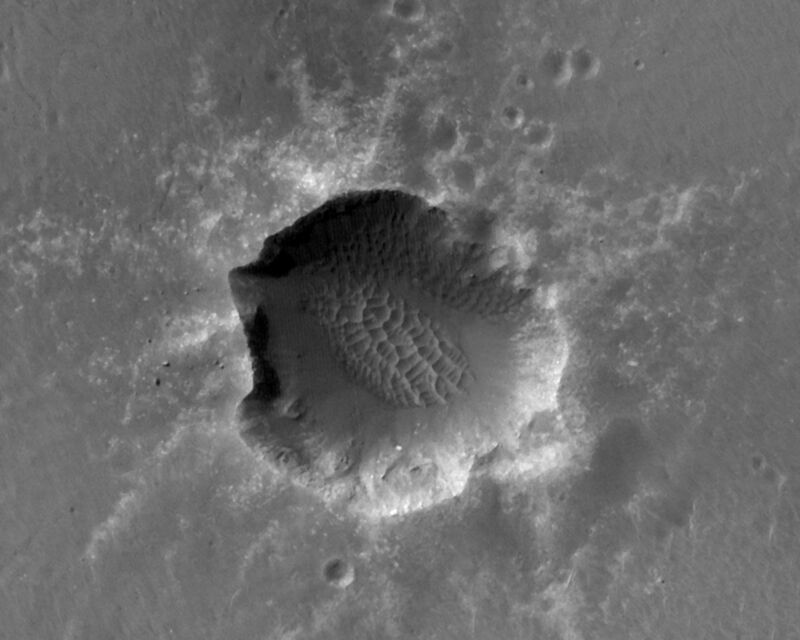 The rover team plans to use Opportunity for investigating Santa Maria for a few weeks before resuming the rover's long-term trek toward Endeavour Crater. One planned target area is at Santa Maria's southeast rim. 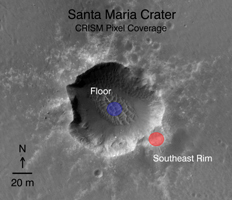 The red circle marked there on Figure 1 indicates the pixel size and location of an observation by the Compact Reconnaissance Imaging Spectrometer for Mars (CRISM) on NASA's Mars Reconnaissance Orbiter that has piqued researchers' interest. The spectrum recorded by CRISM for this spot, unlike the spectrum recorded for the place indicated by the blue circle on the floor of the crater, suggests what might be a water-bearing sulfate mineral. Although Opportunity has detected such minerals on the surface during its nearly seven years on Mars, none have been detected from orbit at a place visited by Opportunity.